4 million people suffer from migraine headaches. Is there a safe, efficacious natural way to treat and prevent them? 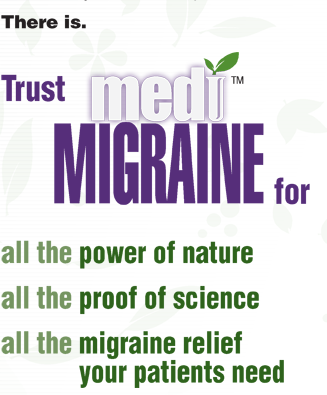 At last, there's MediMigraine™ from Medicopia™ - a revolutionary new medication that brings all the power of nature together with all the proof of medical science to provide a whole new level of relief. Effectively, safely, and best of all, naturally.